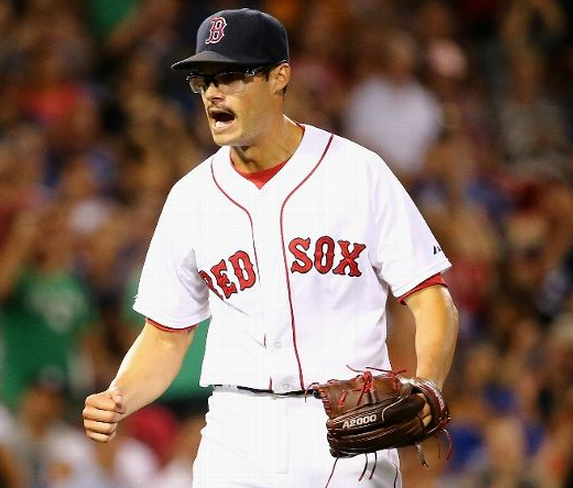 Through Joe Kelly's first 16 starts this year, he won two games. He finished the month of July with a 2-6 record. Since then, he has eight wins in eight starts to improve to 10-6. Joe Kelly has won 8 straight starts, the longest streak by a Red Sox pitcher since Pedro Martinez won 9 in a row in 1999. The thing is, Pedro Martinez was Pedro Martinez, and Joe Kelly is Joe Kelly. Yet somehow Kelly is the only starter in baseball this year to win eight consecutive decisions. I can't remember ever seeing such a bizarre and unexpected pitching streak before--80 percent of Kelly's victories in 2015 have come in the last third of his season.